As all Catholics know, All Saints Day begins this month of November. Observed in the Church since the 8th century, on the First of of November, we celebrate in one joyful solemnity the feastday of all the Saints. Many are canonized by the Church, but not all of these have a feastday that is celebrated on the regular liturgical calendar. Others, we do not know at all – strangers to us in name, in their life’s history and in where they fit in time. It is these latter two especially – the not-canonized and the unknown – that All Saints Day is for – these, that are not honored in any particular, individual way. It has long been the custom of Catholic Religious Orders to have a separate day, usually in November, to honor their own particular saints. 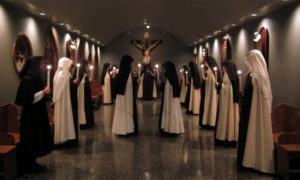 Today, November 14th, is Carmelite All Saints Day . Again, just as on November 1st, the emphasis is on those whose feast day is not on the regular liturgical calendar, and those “unknown” Saints. We would like to introduce you to a few of these Carmelites – holy, prayerful, apostolic, heroic, and in love with Christ Our Lord. 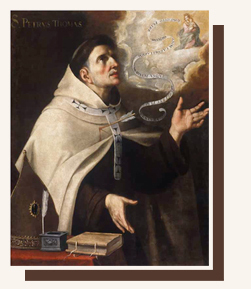 Blessed John Soreth (1394-1471) – Especially known for his restoration of observance within the Carmelite Order, as Prior General, he promoted its reform nearly 100 years before Our Holy Mother St. Teresa undertook this work again. 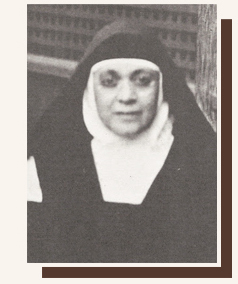 He also largely originated, and then promoted, the growth of the Carmelite nuns and the Third Order Secular. Blessed Baptist Spagnoli of Mantua (1447-1516) – It was largely through his poetry that he became famous and influential on the cultures of early modern Europe, using his epic poems to preach against the waywardness of the times and papal corruption. His method was so successful and admired that even secular poets and writers, including Shakespeare and Milton, both quoted and imitated him in their works. He spent his last years as Prior General of the Order, and his body has been found incorrupt. 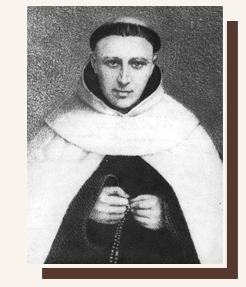 Venerable John of St. Samson (1571–1636) – Another French Carmelite and mystic. 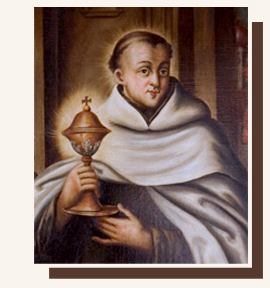 A leader of the Touraine Reform of the Carmelite Order, which stressed prayer, silence and solitude, John was blind from the age of three after contracting smallpox and receiving poor medical treatment for the disease. He insisted very strongly on the mystical devotion of the Carmelites. He is often referred to as the “French John of the Cross”. 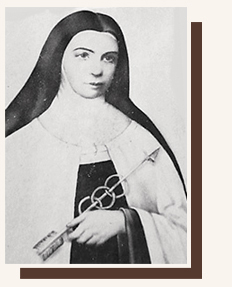 July 21, 1794) – Not only the Compiegne Carmelite nuns suffered the guillotine. Within the very same week, in a different city of France, this elderly Carmelite priest, along with his cousin, a Carmelite Tertiary, endured similar persecution, unjust trial, brief imprisonment and martyrdom. Augustine Mary of the Blessed Sacrament (1821-1871) – Better known as Father Hermann (Cohen), was a noted German Jewish concert pianist, who studied under Franz Liszt and converted to the Catholic Church. He endured much sorrow from his own family’s condemnation. He later became a friar and priest of the Discalced Carmelite Order and was instrumental in re-establishing his Order in both France and England. He was a popular preacher throughout Europe and was instrumental in introducing the widespread practice of nocturnal adoration of the Blessed Sacrament. His canonization has been accepted for investigation by the Holy See. 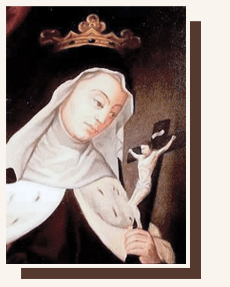 Carmelite Castilian Martyrs, Servants of God: Fr. 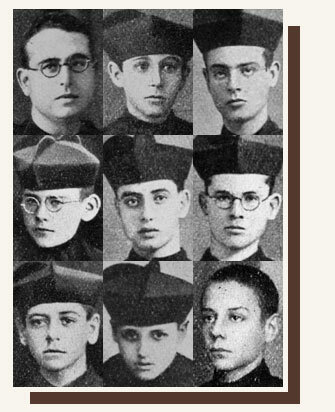 Alberto Maria Marco Alemàn and 8 companions – Died: August 17, 1936 – During the Spanish Revolution, Fr. Alberto was the rector of the Carmelite house of studies, where these young seminarians studied for the priesthood. Although all had left their monastery, seeking refuge in the homes of relatives and friends, the Communists sought them out. Fr. Alberto was brutally martyred early in the day, alone. Then later the same day, the stalwart seminarians, ages 18-23, together gave their lives for Christ and His Church. In honoring these and all holy Carmelites in Heaven, we honor and celebrate their merits, that is, the triumph of Christ in them. Saints, then, are all who have “won the crown” and are truly in Heaven before the face of God. Many of them, as you can see from the few we have presented, are unfamiliar and strangers. For all the innumerable unknown souls in Heaven, we may think we don’t know them. But yes, we do. For in Heaven, our true home, there are no strangers among the inhabitants. And when we reach that blessed home, there will be no cold glances or turning away in unrecognition. All sharing the same life in Christ, how could it be that any will be a stranger to us? We will all be keenly and gloriously aware of our kinship – truly blood relation. For the same Precious Blood of Christ has redeemed each one of us. Holy Mother Church is ingenious in charity to aid her children – instilling that same charity in her children to help one another. Thus the beautiful doctrine of the Communion of Saints works “to build and to plant,” helping, healing, assisting in all ways – all through the great, the new, commandment of Christ’s love among the children of the Church. This is the inspiration behind the patronage of the Saints – and why a medallion is often worn or carried in their memory and honor. 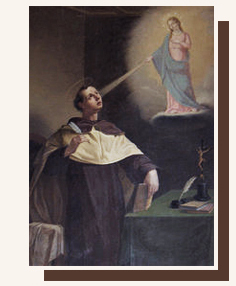 Although many people are familiar with some of the special help certain Saints give, for example, St. Anthony in helping to find lost articles, we think you will find of great interest the Patron Saint Index, which lists very briefly what Saints are known for in their charitable help to their brothers and sisters on earth. Did you know, for another example, that St. Teresa of Avila is the patron of those who suffer from headaches? Of course, that is because she herself suffered in this way throughout her life, and so has a particularly compassionate understanding and sympathy for those of us who do. From this, you can see that it is truly heart-to -heart help the Saints love to give – in imitation of their Lord and Master, whose miracles of mercy and healing are without number. 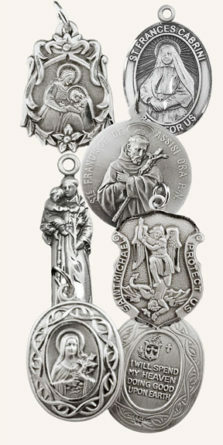 Patron Saint medals, then, are a wonderful way of remembering “our” particular saints – those whose help and patronage are especially needed or experienced on our pilgrimage through life. Often it is our name that gives us a Patron Saint; but just as often, and perhaps more often, it is our troubles, illnesses, needs of all kinds, that make us turn to someone who understands, who can lend a sympathetic ear, someone who can help. And we wear or carry a blessed medal that keeps that kind and holy person near us. Another Cross and Crown title! Precious few are left out there, but we are pleased to be able to offer another of these valuable books. This one, Holiness of Life, is especially for those Catholics who have never been taught the riches of our holy Faith, or whose lives have, for some reason or another, taken a “detour” from the Faith. How many, perhaps of you receiving this letter, have written us about these regrettable, painful facets of your life! All the goodwill in the world, but either bereft of solid Catholic teaching and direction, or away for a while and with a desire to return to your Father’s house. Read in these enlightening pages all that you have been missing. 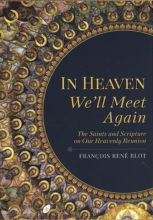 But the book is for anyone who seeks to live with devotion a fuller Christian Catholic life. Enjoy perusing the other titles too. We are locating the last of them to be had, at least for awhile. All of our joyful discussion above about the Saints make us turn to another wonderful book to draw to your attention: The Eternal Happiness of the Saints. Written by St. Robert Bellarmine, it is a perfect and complete “theology” of the dogma of belief in Heaven – but it is more. It addresses just what Heaven is to us wayfarers – that it is a kingdom meant for us, that its joy and peace are incomparable with anything we know on earth, that faith, hope and charity and the practice of virtue are the means to attaining this Kingdom, which is our very Home. The last part of the book gives the great Cardinal Bellarmine’s devout exegesis of some of Our Lord’s parables, so often called “The Parables of the Kingdom”. Don’t forget that books make great gifts at Christmas or for any other occasion. 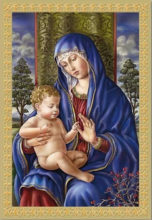 Prayer books, children’s books, doctrinal and devotional, history and culture, Our Lord and Our Lady – and the Saints. There is something for everyone – and you give more than just a bunch of pages bound up with a spine – you are giving consoling, enriching Truth. Not every gift wrapped up with a bow can give that! As we all know, we are approaching once again a new Liturgical Year, with the beginning of Advent. While we cannot take the space here to discuss again this truly wondrous liturgical season, we invite you to revisit past November newsletters, and of course our doctrine and devotions page, to either review or learn about its important lessons. Last year we spoke about Advent as a preparation for death and the end of the world. Another superb source for the “why and what-for” of Advent is one we never tire of recommending (We’re not sorry, either, for there is none better for learning about the richness of our Catholic Liturgy and Seasons! ), and that is The Liturgical Year. The Liturgy of the church, being the worshipful prayer of the Church, is the ordinary means of sanctification, designed by God through Holy Mother Church to lead us through all the stages of the spiritual life, and to bring us to our ultimate goal seeing the good God face to face. It can make Saints of each one of us! The explanations this book gives for the Liturgical Feasts, Seasons, Ceremonies and Divine Office are important and invaluable! We understand that buying the entire set at once is quite a commitment, so we do offer the option to purchase individual volumes. The first volume is dedicated to the season of Advent alone, and there are two volumes dedicated just to Christmas and the Nativity Season. 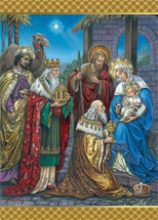 Be sure to have Advent candles ready to light for your Advent wreaths, and check our selection of new Advent Calendars. In our estimation, it is way too early to be talking about Christmas gifts, and as you well know, we dislike joining the pre-Christmas frenzy that starts earlier and earlier every year in this commercial world of ours. But this will probably be the last time we write before Christmas, so we wanted to take the opportunity to remind you that our deadline for rosary orders will once again be December 1st – and that is coming up quick! We will do our best to complete orders in time for Christmas gifts that come in after December 1, but with the many orders coming to us during these weeks, we cannot guarantee that the rosary will arrive by the 24th of December, if you order after that date. We have added considerably to our collection of Christmas cards this year, and some of the designs have become the Sisters’ new favorites. 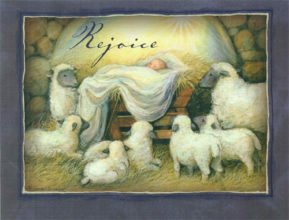 New designs, but always with the traditional and truly Christian Christmas message, prayer and greeting. We should tell you, however, that these cards are already going quickly, and some designs are nearly sold out. So try to visit soon. We had hoped to have the new website launched and ready to show you by the time this newsletter went out… but God had other plans. On our end, it has been difficult to find the time to do the editing/formatting needed, and the developers are still putting final touches on the new template. If you have recently been to our website you may have noticed some things are already starting to look different. Please bear with us as we start changing our category images and fonts; everything will look a little strange these next few weeks! On the end of the technical experts we are working with – the truly brilliant, truly professional team constructing the “guts” of a better website – they have all had to learn just what a rosary is. So that’s good! But they have undertaken the wonderful, but more-than-daunting task of setting up the new Build a Custom Rosary feature, especially the mobile side of it. We do hope to launch before the end of November. but again, that is only a hope, and we’ll see if God still has other plans! The website has not been the only thing under construction recently. Over the past few years, we have talked about, and even planned for, many different ways to enlarge the Monastery. One idea was to add a second floor to our one-story Sacristy; another was to build a whole new building attached to our current one with a walkway between the buildings. But construction is booming in this part of Colorado, and so are building prices. We’ve finally decided on a modular office building as a simple and more cost-effective way to give us a little more room. The new building will house our little sacramental cottage industry (which is currently occupying cells needed for future vocations, and spilling out into the cloister and nearby storage closets), plus new sewing and embroidery rooms. The current sewing room is slated to become a much needed and long anticipated oratory. Sometimes the public chapel is engaged, so this will be of great benefit to us. We have been working on the plans for this project all year, and the final step, pulling the permit, which was only supposed to take a few weeks, dragged on into a several month long bureaucratic nightmare. In the meantime, prices were continuing to rise, and state permissions applied for and granted at the beginning of the year were nearing their expiration date. We turned to Our Holy Mother St. Teresa for help – she who was well known as a very formidable and capable foreman when it came to renovating or building her monasteries. It was during our novena for her Feastday that the permit finally came through, and on October 15th, we signed the contracts and ordered the buildings. Thank you, Holy Mother! Pre-ordering a building has turned out to be an interesting way to build. Wallpaper, carpet, paint choices were fairly easy, since there were not very many to choose from. But as we went along, it became harder and harder to imagine everything together. Working from 1inch samples sent in the mail, and sometimes a computer screen, which cannot be counted on to give colors accurately, we started wondering if anything matched – or at least blended. Cream this, white that. It doesn’t come in cream? Grey this, beige that…how about faux wood? 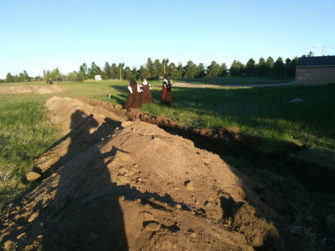 There was a hearty round of laughter in the middle of one of our building meetings when one of the Sisters finally said, “What kind of monstrosity are we building? !” Yes, we are all going to be a little nervous to go outside and actually see what it looks like when it comes rolling up the driveway and is finally set up; but they are only workrooms, plain and simple, and we really aren’t that picky! Site preparations have already begun, and the building – all four parts of it – are supposed to arrive late January. We are sure there will be more hurdles to overcome; there always are with construction…. all in God’s Providence. One of our big adventures in the new year will be actually moving into the new, assembled building. Relocating all the heavy sewing room tables, sewing/embroidery machines and other equipment, not to mention computers and website stock, from here to there, across the yard, to the new work rooms is going to be an adventure all by itself! So now that we’ve told you about this rather huge project, may we ask your good prayers for its happy, successful conclusion, for the love of God and for His glory? Thank you! After we sent out our last newsletter we had several complaints along the lines of “What happened to the dogs? 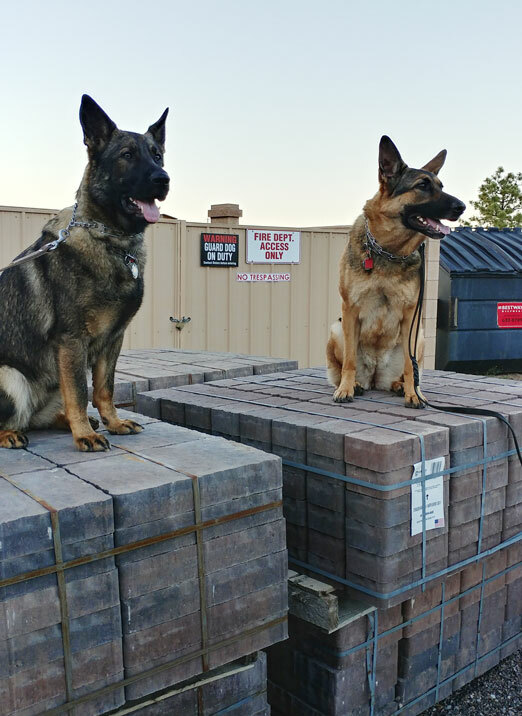 !” So by popular request, here is an update on the four-legged members of our community. At almost three years old, Zelie is a puppy no longer, but still has the same high-drive and borderline neurotic energy. She spent most of her summer stalking the clover patches, hunting flies, bees and anything else that is small with two wings, a game that always erupts into new heights when a Sister pulls out the fly swatter. Zelie is determined that no one should kill the insect before she does. We’ve pulled quite a few stingers out her mouth …but it never seems to bother her one bit. 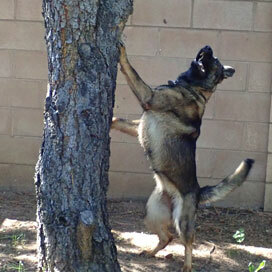 Meika preferred to spend her time barking up (and chewing on the bottom of) trees that she thought contained squirrels, or that probably contained squirrels at one point, or that even have the potential of containing squirrels in the future. She also loves to “help out” in the garden. After intently watching a Sister pull weeds and clumps of grass from one of our beds, she decided to try out her own weeding skills on the newly planted flower pots; a habit that took several days to break. When she was a little puppy, one of the Sisters used to snap dead branches off the trees and give the sticks to Meika to play with. Now, whenever she gets bored, she helps herself to her own stick. We keep telling the garden Sister that she is “only helping with the pruning” each time she runs by with a large piece of lilac bush or branch of fresh pine in her mouth. At one and a half, she is still very much a puppy. Both dogs still make raking an interesting and sometimes not so fruitful exercise, even though they have finally learned to sit quietly (not counting the increasingly high pitched whines) on the side until Sister gives them the ok to play/attack. As the city moves closer, we are more and more happy to have them around. More than once now they’ve alerted us to strangers wandering around the parking lot at odd hours, and no one comes through our front gate undetected. When trustworthy Zelie barks, something is up, or someone is here. 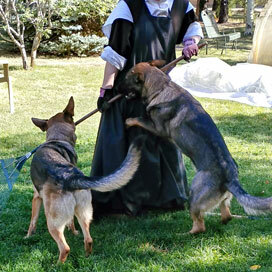 Our German Shepherds form our security team and our St. Joseph’s little helpers in protecting the Monastery and its two-legged inhabitants. 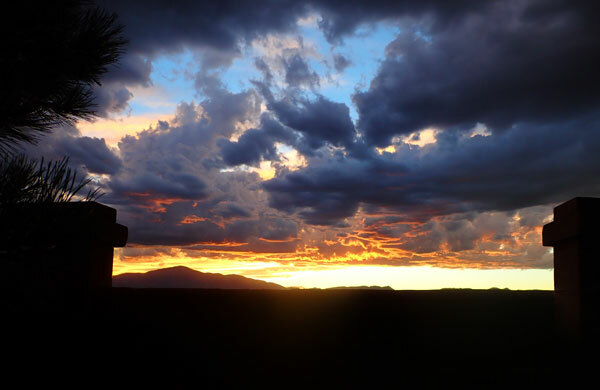 In closing, we include a reminder to remember our fellow wayfarers who have left this earthly portion of the way to Heaven, but must wait and endure a little longer the “last lap” of their pilgrimage: the Holy Souls in Purgatory. We encourage you to read again our newsletter of last year, November, 2017, our brief remarks about this holy place – this holy, consoling and merciful, doctrine of our Faith. 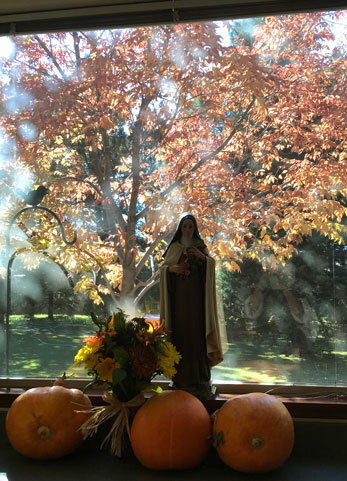 As well, we commemorate all deceased Carmelite Religious on November 15th – and ask you to join with us in praying for these good souls, called in a special way to divine union. We become saints by the perfection of charity. And how do we attain pure love? Love is not an effect of headwork, nor a pushing forward of will to give to it greater force. It is the result of accepting generously all sacrifices, in accepting with a loving heart all trials.